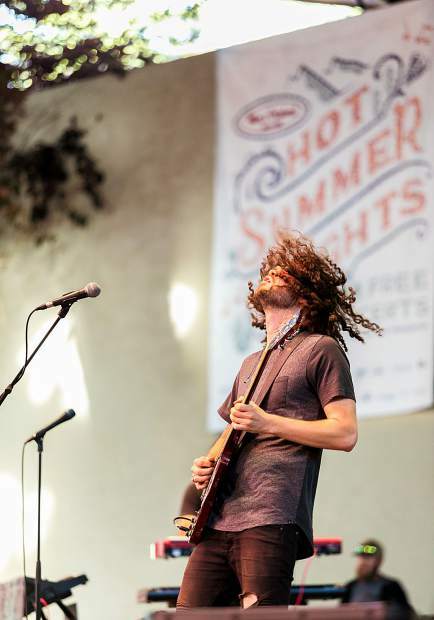 Max Newman rips on his guitair during a lengthy solo during The Main Squeeze's performance for the Hot Summer Nights concert series Tuesday in Vail. 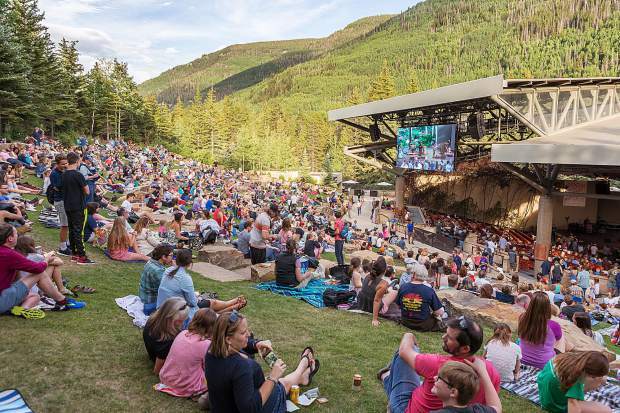 A large crowd showed up to watch The Main Squeeze during the Hot Summer Nights concert series Tuesday in Vail. 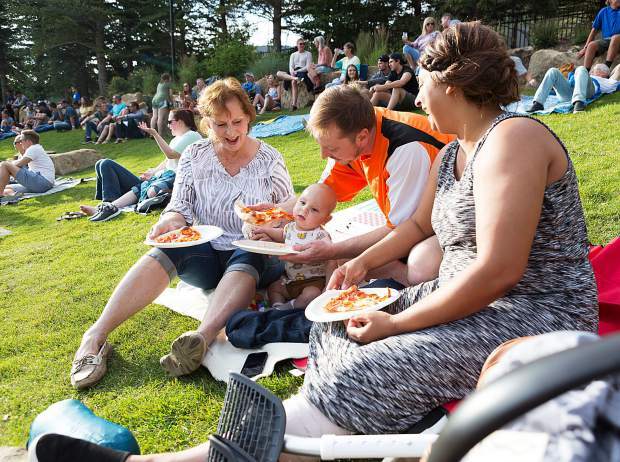 The Donahoo family, from left, Faith, Knox, Madison, and Clayton enjoy some pizza from Magusto's as the Hot Summer Nights concert kicked off Tuesday in Vail. 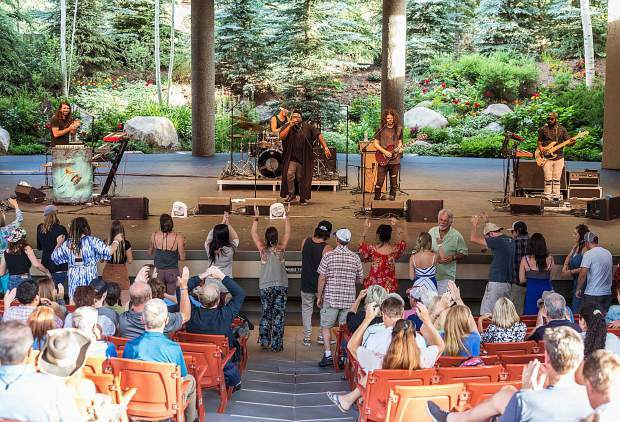 The Main Squeeze, a funk band out of Chicago, perform for a dancing crowd during the Hot Summer Nights concert series Tuesday in Vail.